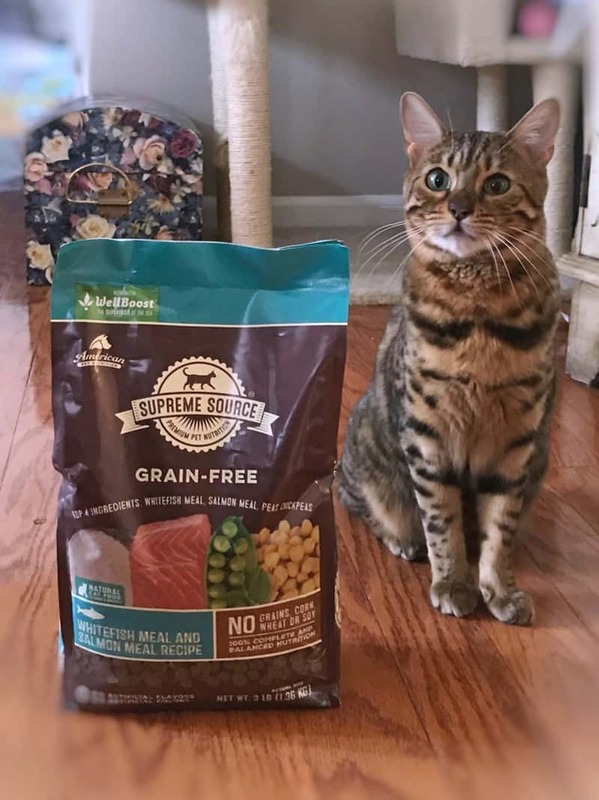 You might remember that a few weeks back I shared how we were starting our cats, Xena and Khaleesi, on a 10-Day Detox with Supreme Source®. If not, you can refresh your memory here. Keep on reading to find out how you can get your cat started on a 10-day detox with Supreme Source! 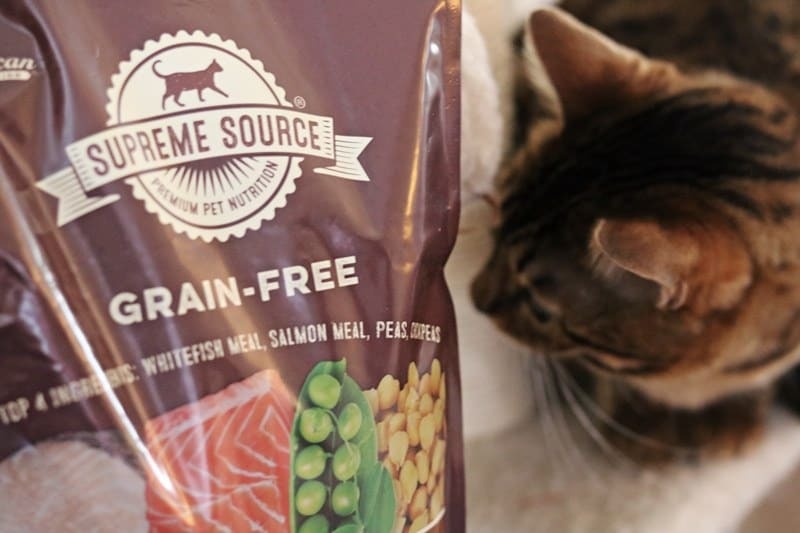 We tried out the Supreme Source Whitefish Meal and Salmon Meal Recipe Dry Cat Food, and since beginning their 10-day detox, Xena and Khaleesi have been doing awesome and are both very energetic and playful. The great thing about the Supreme Source 10-Day Detox is that it focuses not only on digestive health, but physical and emotional health as well. The detox got me thinking about ways to make sure that our indoor cats are getting the exercise and mental stimulation that they need. As indoor cats, I wanted to be sure to have enough ways for Xena and Khaleesi to unleash their energy and be as active as they could if they were outdoors in their natural environment. Getting enough exercise is especially important for indoor cats, as it helps to keep them in shape and from becoming overweight. Being overweight can lead to a whole host of health issues. Plus, toys provide entertainment and help to keep indoor cats from becoming bored during the day when they are alone and their owners are at work. Today I am sharing 3 of the best types of cat toys for indoor cats. From interactive cat toys that will help develop a bond between you and your cat, to electronic cat toys that will keep your indoor cat active while you are at work, you are sure to find some great toy options for your cat. Cats are natural born hunters, with agile muscles and sharp teeth and claws. 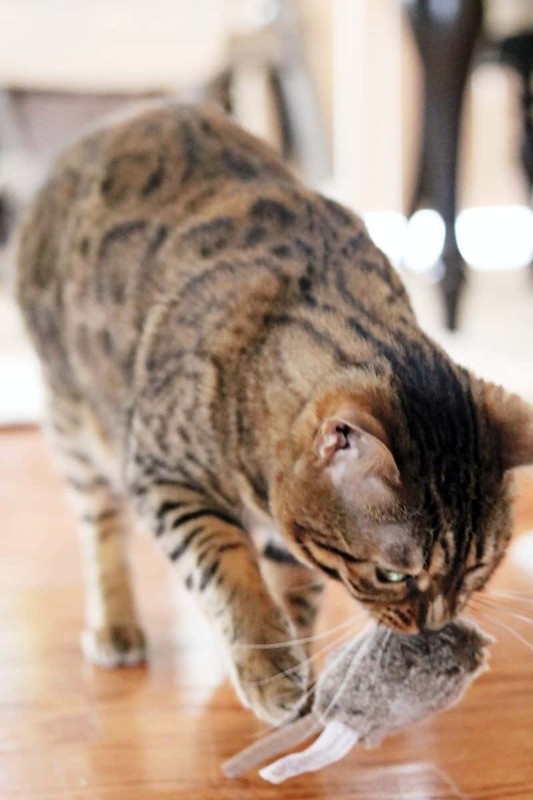 That is why small toys such as mice, balls, springs, etc… that cats can hunt as their prey are one of the best types of cat toys for indoor cats. 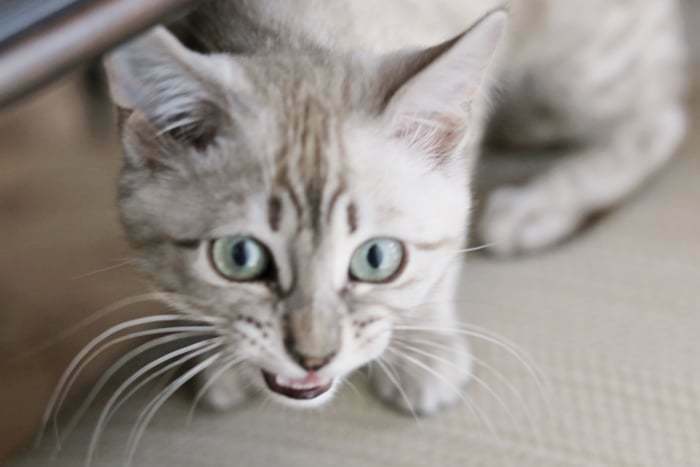 Indoor cats can enjoy hunting, leaping, and pouncing on the small toys as if they were animals in the wild. You might even find that you can engage your cat in an interactive game of catch! 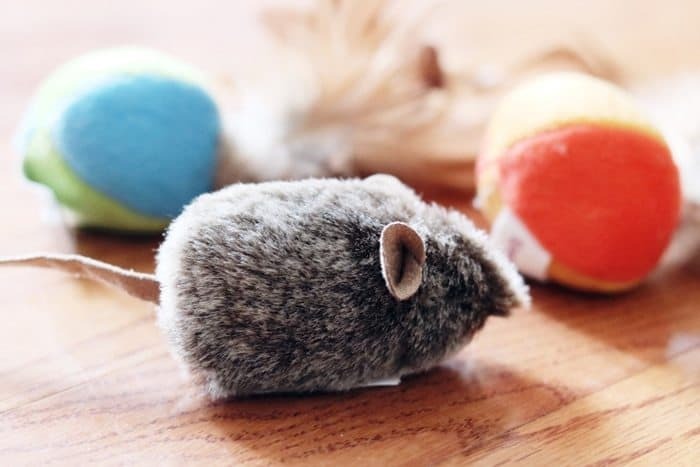 If you want to keep your cats busy while they are home alone, leave some of these small toys scattered around the house so that your cat can swat at them and chase them whenever they desire. In nature, cats climb trees. You can recreate a climbing environment for your cat at home with a cat tree that has several levels for your cats to climb. 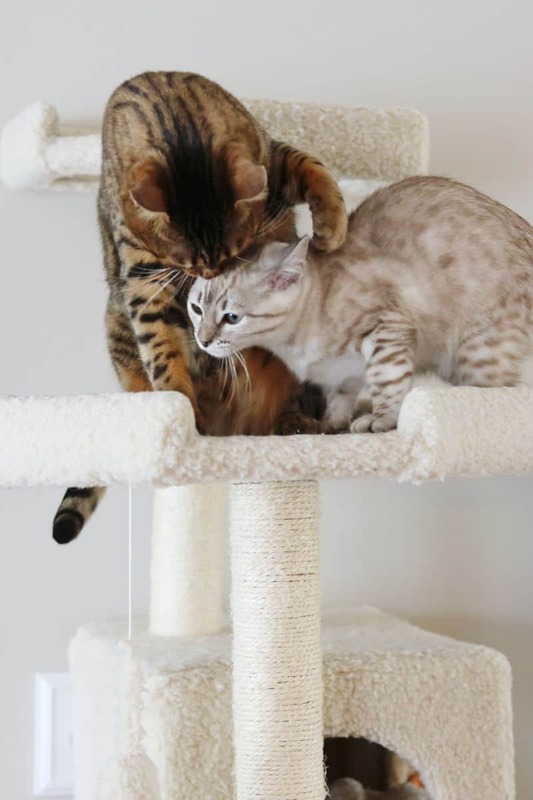 Plus, cats can sharpen their claws on the scratching posts included on cat trees, which is great for their nails and for your furniture as well! When it comes to interactive cat toys, wand toys are one of the best types. Basically a stick with a toy hanging from the end, wand toys allow owners to play with their cats without the risk of being scratched. Plus, they imitate flying prey, which your cat will love to hunt and pounce on. What cat toys are best for your cat? If you are looking for cat toys to keep your cat active and entertained while you are out of the house, toys that are designed for cats to enjoy on their own like cat trees and small mice and balls are your best option. 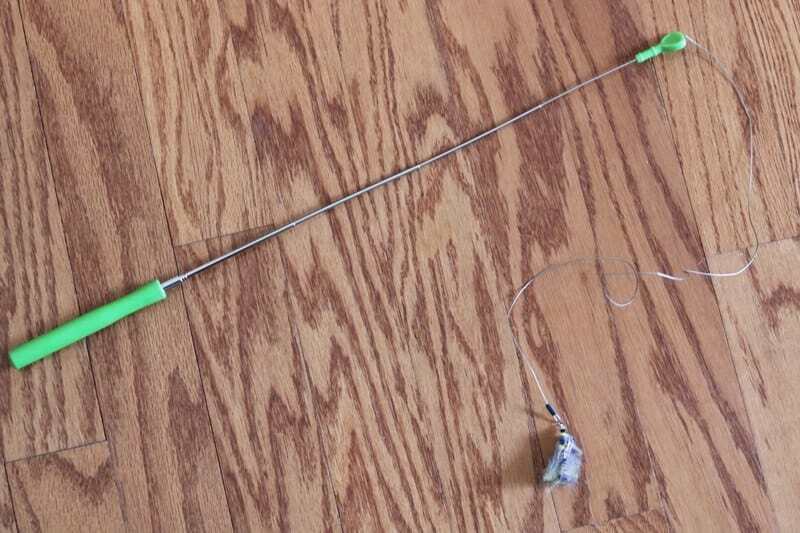 On the other hand, if you are looking for something that you can use to play with your cat, interactive cat toys like teaser / wand toys are your best option. My advice is to invest in some interactive toys as well as some toys that cats can enjoy on their own. 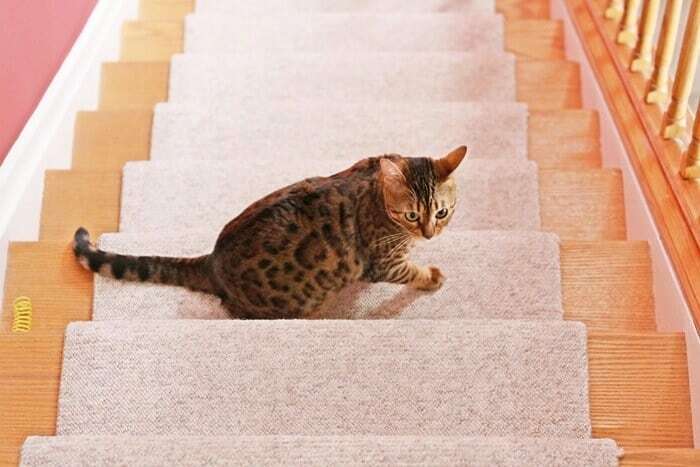 This way you can enjoying playing and bonding with your cat as well as know that your cat will be entertained while you are out of the house. Could your cats use more energy? If your cat could use an energy boost consider staring them on a 10-day detox with Supreme Source. 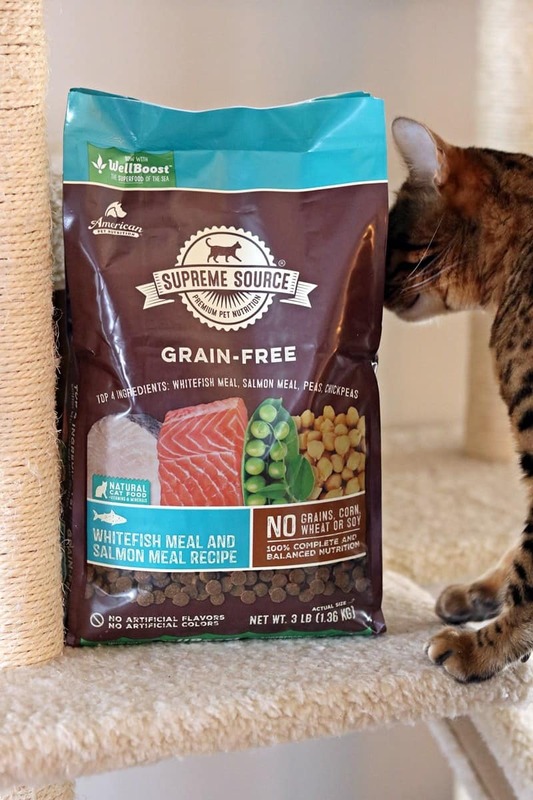 Supreme Source is a premium grain free cat food made with no artificial flavors or colors and packed with the protein and nutrition that cat needs. Visit www.superfoodswitch.com this spring to start your cat on a 10-day detox and save on your first bag of Supreme Source pet food. Plus, you will receive helpful daily emails packed with tips to help you through the steps of the 10-day detox. After printing out your coupon for Supreme Source simply bring it to your local Food Lion, Albertsons, Safeway, Stop & Shop, Giant Eagle, Hannaford, DeMoulas, K-Va-T, Smiths or Frys. We picked up our bag at our local Acme (a division of Albertsons) in the pet food aisle. Note: While this is a “Pet Detox” Promotion, products and information provided by American Pet Nutrition are not intended to substitute for medical advice or treatment. It is always recommended that you consult your veterinarian or a qualified medical professional for your pets. The information and products are not intended to diagnose, treat, cure or prevent any disease or medical problems. Incredible Post, we have inside cats so this was super helpful. Love this! I’ll be sharing it with my boyfriend’s daughter for her cat. I love all of these toy options! However, it always seems that the more expensive the toy, the less likely my cat is to play with it. His favorite toy? A Halls lozenge wrapper all rolled up into a ball. I kid you not! my Cat’s love Ball’s in the Kitchen.rolls better the.and taking magnets of the fridge .